This book contains lots of easy-to-introduce activities that will move your practice towards that outstanding level! Not jst when being observed, but all the time. The author, Alistair Bryce-Clegg is known for his original and creative ideas and witty and accessible writing style, and this book does not disappoint! It is filled with brilliant ideas covering everything you need to know as a early years practitioner, including advice for planning sessions, setting up an outstanding environment and encouraging outdoor learning activities. There is also a big focus on child-led learning and help and advice for working with parents. 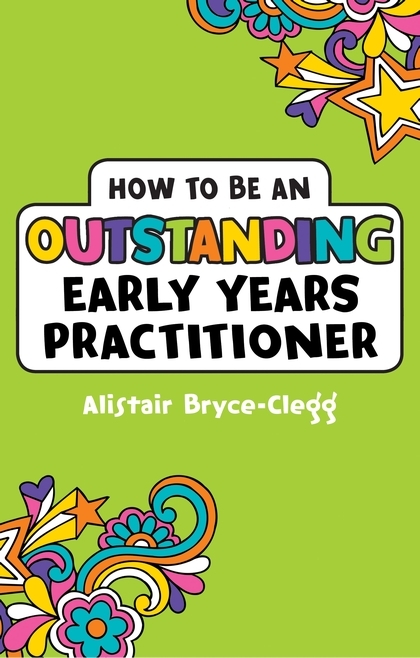 This book is a must for all early years practitioners and early years school teachers eager to ensure their practice is the best it can be for all the children in their care. I have tried to order this book but when the link takes you to the website it produces a different book. 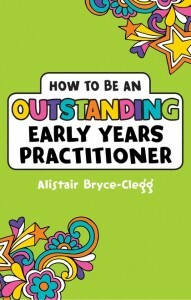 Where can I purchase this book or has it been incorporated into the ” best practice in early years book? I tried to order it too and had the same problem. All i can say is the book it directs you to is well worth the read so i would recommend it to any early years setting. Is this book still available to purchase? looks fab- can’t wait to read it and disseminate all the fab things to my practitioner!